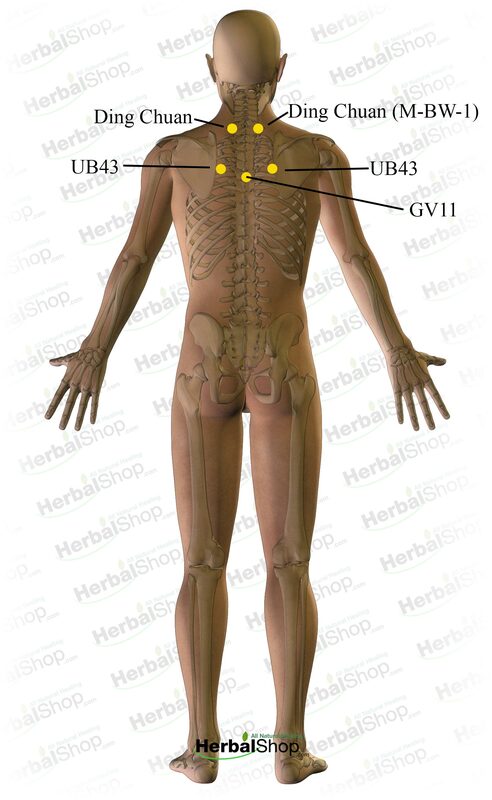 These are the acupressure points for cough. Working on these points can help you get better faster. You do not have to use all of these points. Using just one or two of them whenever you have a free hand can be effective. 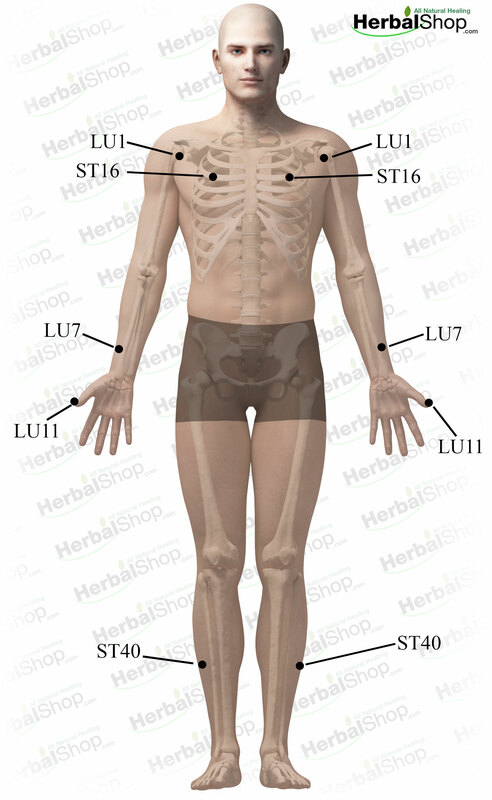 Location: in the 3rd intercostal space, 4 body inches lateral to the cv meridian. Benefits: fullness in the chest, pain in the chest, pain in the hypochondrium, cough, asthma, mastitis, lactation deficiency. Location: 0.5 body inch lateral to cervical vertebra no. 7, below the prominent vertebra. Benefits: asthma, cough, neck rigidity, pain in the shoulder and back. Location: below the spinous process of the seventh cervical vertebra, approximately at the level of the shoulders. Benefits: neck pains, stiffness, fever, epilepsy, cough, asthma, common cold, upper backach. Location: below the spinous process of the 5th thoracic vertebra. Benefits: poor memory, anxiety, palpitation, cardiac pain, pain and stiffness of the back, cough. Location: on the radial side of the thumb, posterior to the corner of the nail. Benefits: cough, asthma, sore throat, laryngitis, nosebleed, mental fog, irritability, loss of consciousness. Location: 4 finger width lateral to the spinous process of the 4th thoracic vertebra. Benefits: cough, asthma, blood in the sputum, night sweating, tuberculosis, poor memory, indigestion, emphysema, immune deficiency disorders, cancer, chronic fatigue syndrome, low energy.